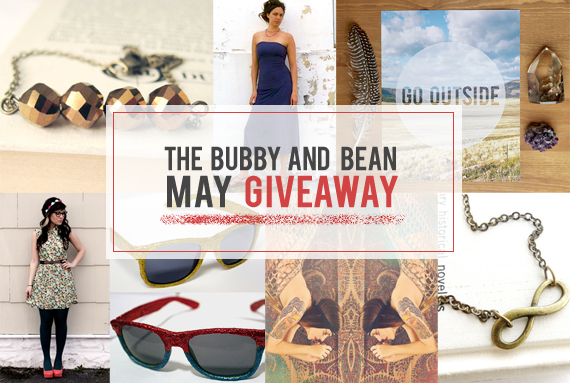 Bubby and Bean ::: Living Creatively: Big May GIVEAWAY // Win a Prize Package of Goodies Worth $215! 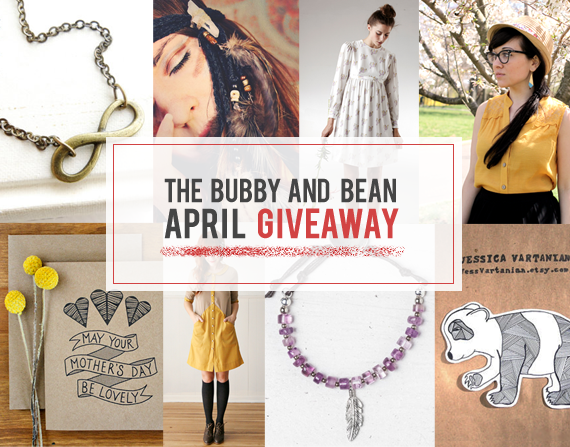 Big May GIVEAWAY // Win a Prize Package of Goodies Worth $215! Happy Friday! I know that I gush every month about how that month's group giveaway is the best yet, but I swear, they just keep getting better and better. 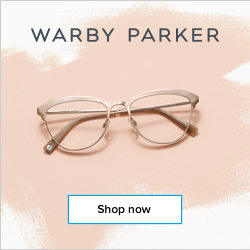 Six incredible shops and blogs have contributed some truly fantastic prizes that include gorgeous clothing, jewelry and accessory shop credits, paper goods, and blog ad space. 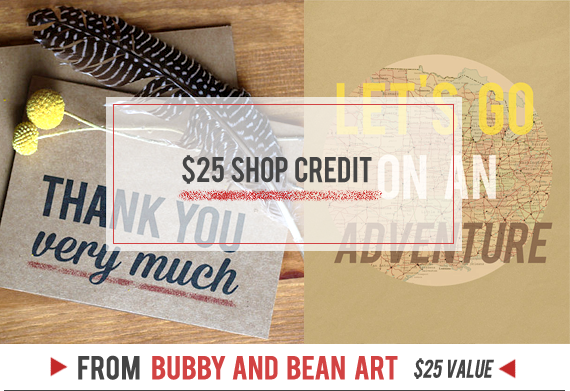 This giveaway includes 6 prizes and is valued at $215 - and one lucky Bubby and Bean reader will win it all! 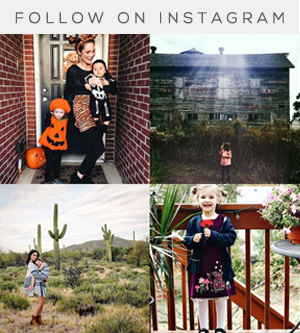 Visit any of the shops from this giveaway (Gaia Conceptions // Skaggsy // Oh Nostalgia // Roots & Feathers // Little Tree Vintage // Bubby and Bean Art) and list your favorite item(s). This giveaway goes through May 24th and is open to Bubby and Bean readers worldwide. The winner's name will be chosen randomly and announced shortly after. Thanks again to our May sponsors for contributing such great prizes! Good luck! I want from Oh Nostalgia item !! I Would Like To Win The tem Little Tree Blog! Clicked the Facebook Like button below to like this post on Facebook. I love the girl's drawstring collar shirt for my lil one from Gaia Conceptions! I love the infinity necklace from Oh Nostalgia. I follow Roots and Feathers via bloglovin. I follow Little Tree via GFC. fb name is Justbyou Kim. I follow you on Pinterest (@justByou). I follow MotM on twitter (@shopjustByou). I'd be most excited for the Oh, Nostalgia credit! The "Cupid's Arrow Necklace" is my favorite! So adorable. Some of my fave items from these shops are the Father's Day card in your shop (my hubs would love it!) 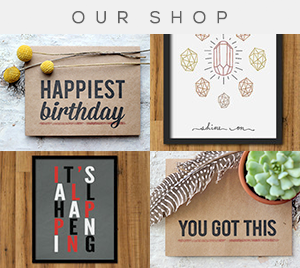 and all of your art prints are great. They'd look great in my son's room. Also lovin' the Little Tree blog! Liked Bubby and Bean Art on FB. Name Teryn Skye. I've been following you on Instagram now for over a year! :) So I've already got that one down haha. Name "terynskye"
Following on Pinterest. Name "terynskyeee"
Following on Twitter. Your layout is gorgeous! username: "wildbloomevents"
I follow you, and I would love to win that dress! I always look forward to winning ad space! I'd love to win any of the ad spaces! Thanks for the chance to win! Liked Bubby & Bean Art on facebook. 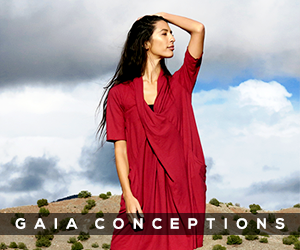 I adore Gaia Conceptions, so the dress is on the top of my want list-- but all the prizes are truly awesome!! On skaggsy I like the sunglasses~! The jewelry on Vintage Inspired is gorgeous. In fact, I previously <3 the shop! I love the Jade necklace. Bohemian Trinkets has some cool earrings. I especially like these: jocelyn. a pair of bohemian beaded arrow earrings. But I really like the Old Dog Daydream print. You're right, the giveaways get better and better! I'd love to win that dress!!! Love these earrings from Roots and Feathers! I'd love the Oh Nostalgia ad space to advertise my custom buttons! 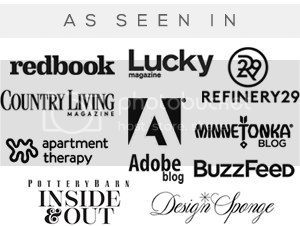 I follow Bubby with Bloglovin! EEP! I would LOVE to win the dress, simply gorgeous! 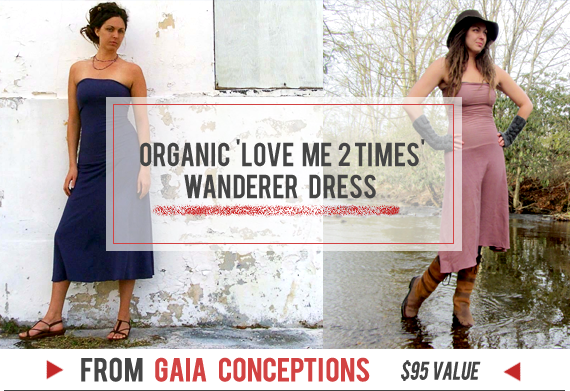 From Gaia Conceptions, I love the Love me 2 times sari wanderer! From Skaggsy I love the glittery switchplates! From Oh Nostalgia I adore the Brass Locket! From Roots and Feathers I adore the genevieve! So beautiful. From Little Tree Vintage I love the Wire Wrapped Druzy Quartz! From Bubby and Bean I LOVE the GO OUTSIDE art print. It would look perfect in my living room. I follow Little Nostalgia on GFC! I already like Bubby and Bean on FB! I follow Bubby and bean on Instagram! I'd love to win that beautiful dress! 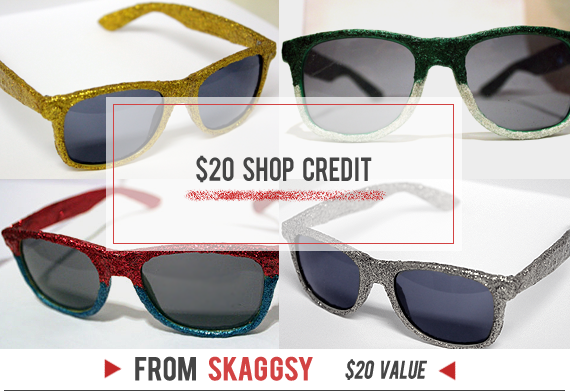 My favorite item from Skaggsy is the made to order glitter sunglasses. 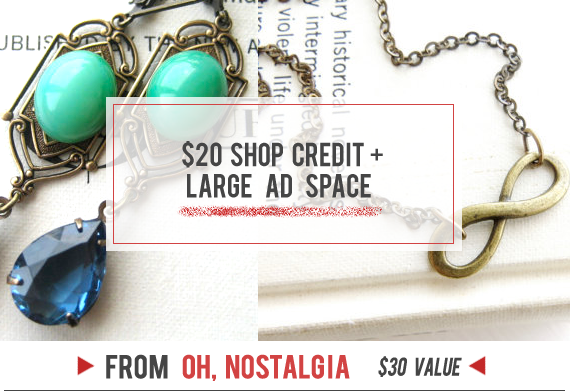 My favorite item from Oh Nostalgia is the Jade Green Necklace. My favorite thing from Roots and Feathers is the leone a graceful dreamcatcher necklace. My favorite thing from Little Tree Vintage is the Wire Wrapped Druzy Quartz. My favorite thing from Bubby and Bean Art is the Never Let the Things You Want Make You Forget the Things You Have - 8 x 10 Typography Art Print Poster - Turquoise and Grey. I pinned a picture from this giveaway! on the preggie forums that a single in the moms did it. 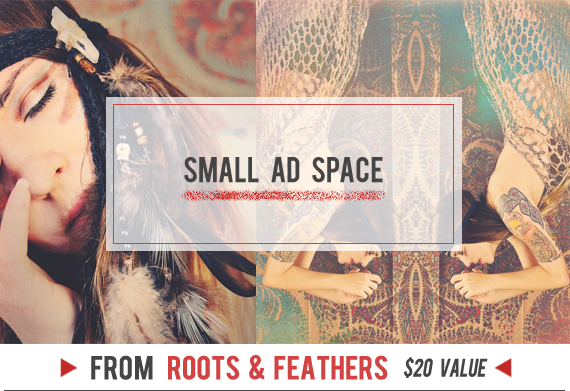 Love love loooove the Bohemian wall hangings from Roots & Feathers! Love the vintage tapestry wallet clutch, and the white leather snakeskin clutch from Little Tree! I'd love to win the ad space! I'm always looking for new places to advertise my shop and blog. I liked you on FB ages ago! That wanderer dress for sure! Everything else is awesome too! elizak.stewart AT gmail DOT com. I love this shop! I want everything glitter!!! I want to win the Wanderer Dress! Following you on Instagram (thesteadyhand). 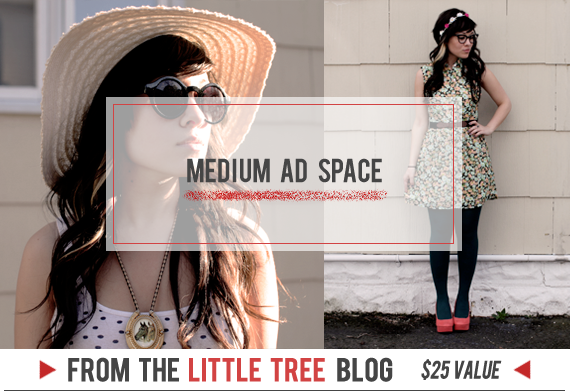 I would love to win the dress from Medium ad space! ho-ho! I liked my words! The sunglasses, oh my gosh they're amazing!! would like the WANDER DRESS- ANAHI S.
I'd be really excited to win one of the dresses!! Following Roots & Feathers on BlogLovin (deelirium) and Little Tree on gfc (deelirium). I love Oh Nostalgia so much :):) so I''m very happy! The love me 2 times wanderer dress!